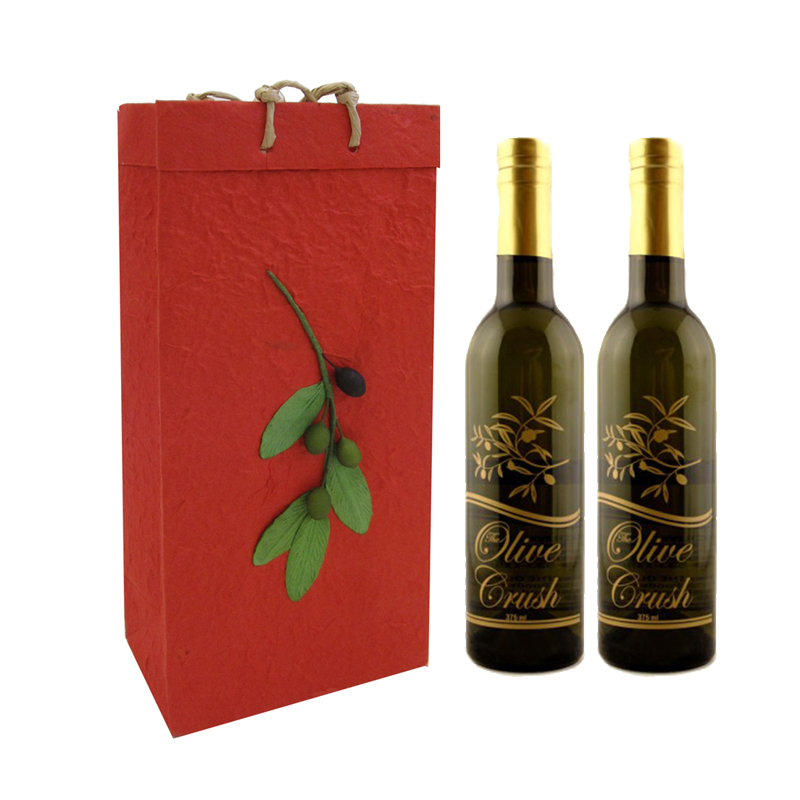 This gift contains two hand-chosen, full-sized bottles of our premium extra virgin olive oils or fine balsamic vinegars (375 ml each). It's the perfect gift for managers, wedding presents, or special birthday gifts. 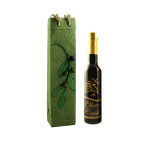 This gift contains two hand-chosen, full-sized bottles of our premium extra virgin olive oils or fine balsamic vinegars (375 ml each). It’s the perfect gift for managers, wedding presents, or special birthday gifts. 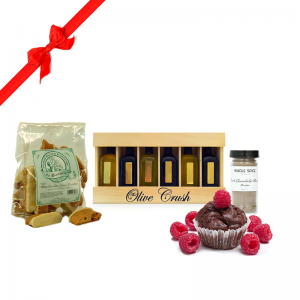 This gift set full of fruity and chocolatey flavors is guaranteed to thrill the Sweet Tooth on your gift list! 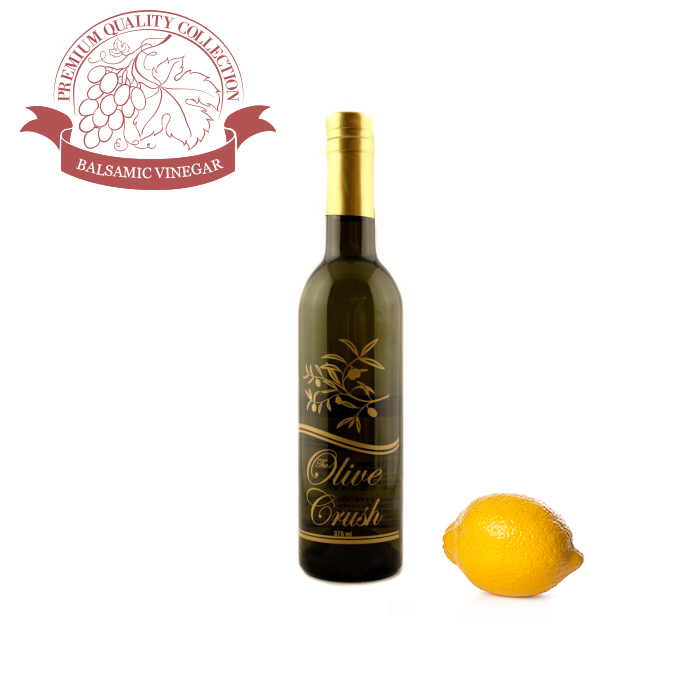 Stock full of fruity balsamics and olive oils, Lemon White Chocolate Biscottini, and delicious Dark Chocolate Mousse powder. 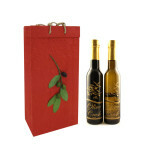 This gift contains two hand-chosen, small-sized bottles of our premium extra virgin olive oils or balsamic vinegars (200 ml each). It’s the perfect gift for managers, wedding presents, or special birthday gifts. Perfect for those who love sampling many different flavors! 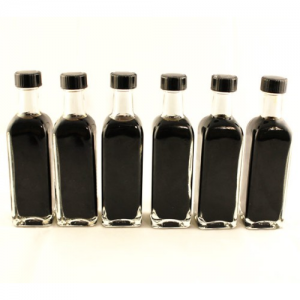 We offer a 6 bottle flight of 60ml bottles of our infused balsamic vinegars.